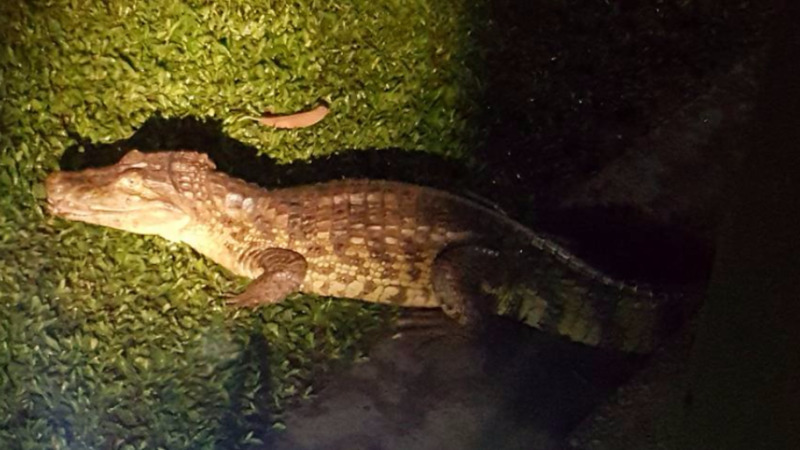 One man's attempt to restrain a caiman ended tragically over the weekend. 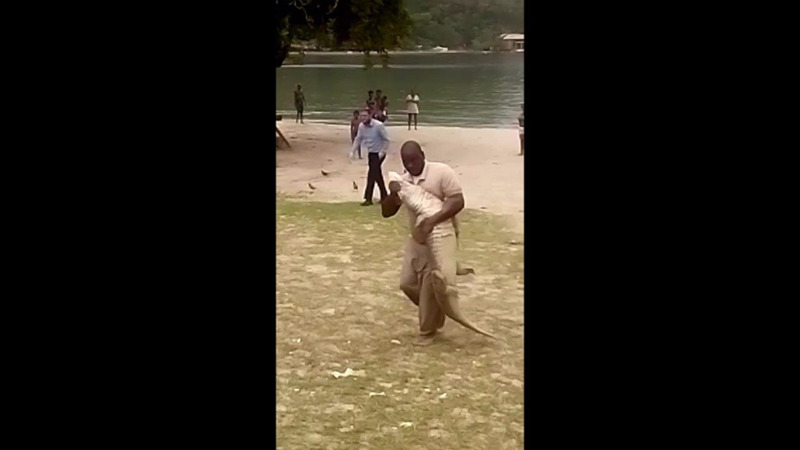 A viral video showing what appeared to be a relocation attempt of a caiman ended with shrieks and pain as the man attempted to hold the caiman, who swiftly bit him. The video has gone viral online with almost 2 million views and over 4,500 shares. 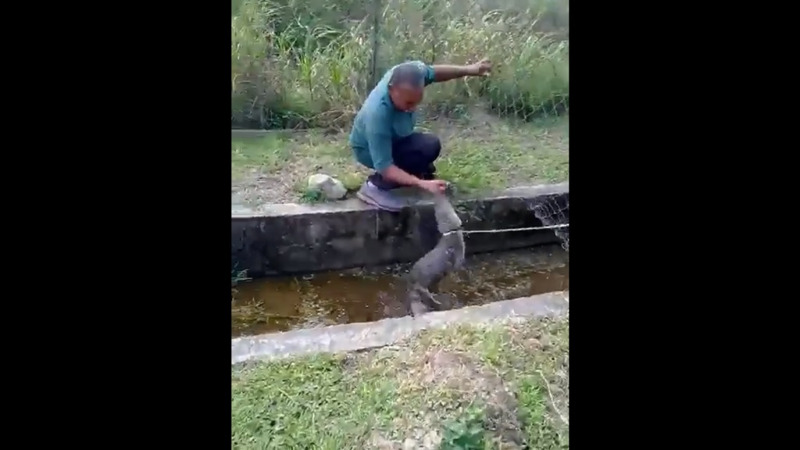 The man was said to be an MTS worker at a school in Central Trinidad, who was attempting to remove the animal from the school compound. 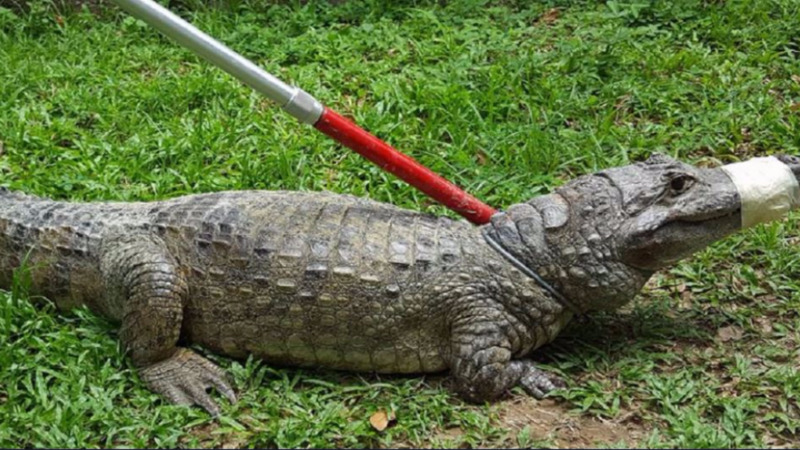 According to crocodilian.com it is incredibly dangerous to attempt to hold a caiman with bare hands and treating with the animals should be left to the experts. A catchpole is needed to hold the animal's neck while the second or third person can concentrate on restraining the body and securing the animal's jaws. "A gentle tap on the top of the head or the base of the tail is nearly always enough to encourage the animal to move away from you. Hitting an animal hard enough to injure it is the domain of idiots," the website says.